Enjoy this freebie... my way of saying thank you to all of you! Freebie includes 2 pages. 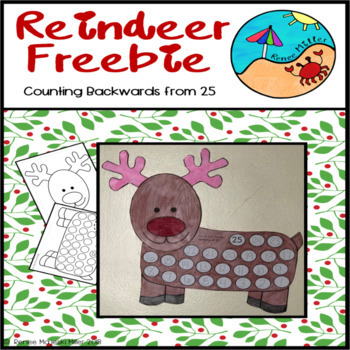 Cut and paste reindeer together to create a fun math craftivity. Practice counting backwards from 25. You can even count down to Christmas with the kids if you like!!!! Writing a Story Around A Campfire Craftivity.